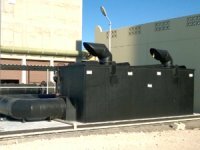 The Royal Guard of Oman had designated MENA-Water for design, manufacture, build, supply, testing, commissioning and maintenance of a sewage treatment plant for AL Aman Camp Project. The project is located near Bait Al Barakah Palace, Muscat in Sultanate of Oman. 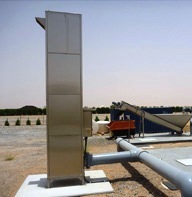 MENA WATER FZC got the contract to build up the sewage treatment plant of 1100 m³/day for Al Hamala Village – Bahrain. 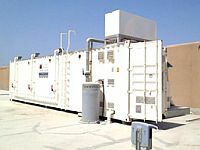 Basis is the established modular package plant with MBR technology. Palm Jumeirah Island is one of the famous landmarks in UAE, an assured destination for every tourist, full of hotels which provides the relaxing environment. 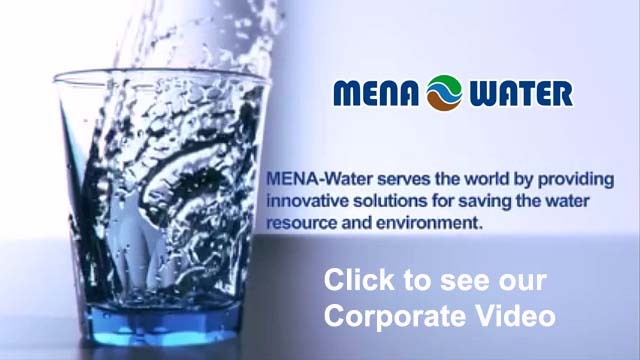 MENA-Water is an advocate of health and safety. We offer process integrated robust equipments designed to control odor emanated from wastes. The major odor-generating section in a plant are influent pumping stations, grit traps and grit storage areas, primary clarifiers, sludge dewatering areas and any place where anaerobic reactions may happen. 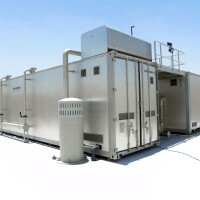 This particular field is fully explained in products range needed to control air pollution in and around the treatment facility. There are several technologies of odor control treatment to prevent damage to health and discomfort caused by malodor.